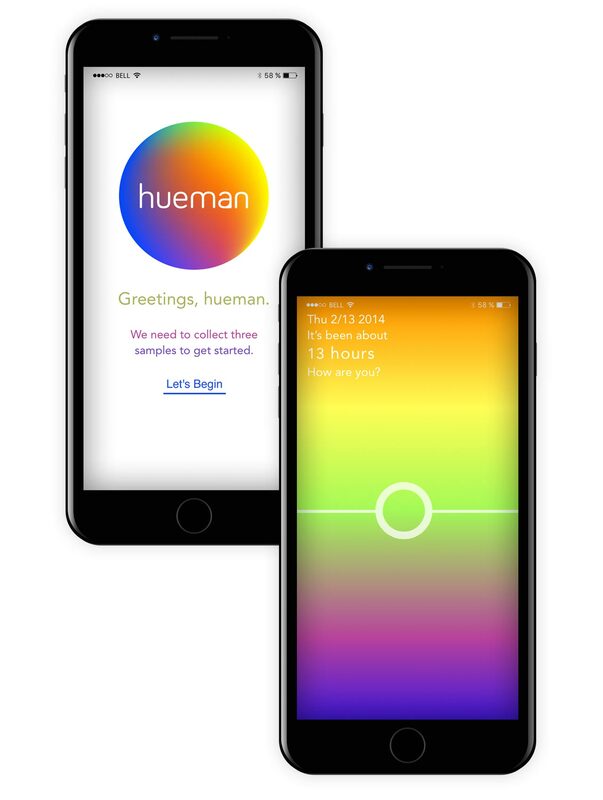 Created as a passion project among friends, Hueman is an iPhone app that tracks your relative happiness compared to the last time you checked in. 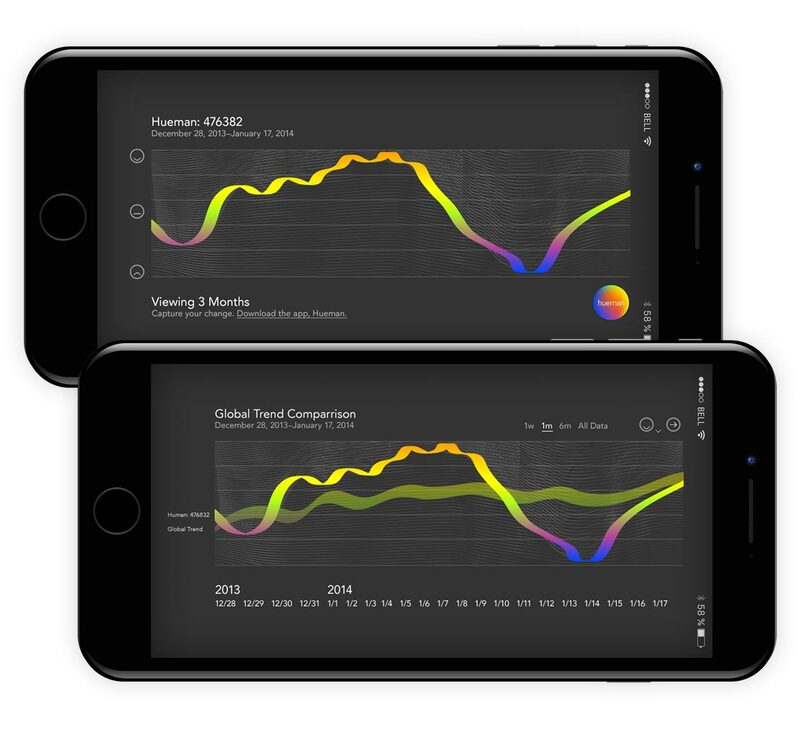 Hueman reminds you to log your mood daily, and presents a graph of your mood over time. 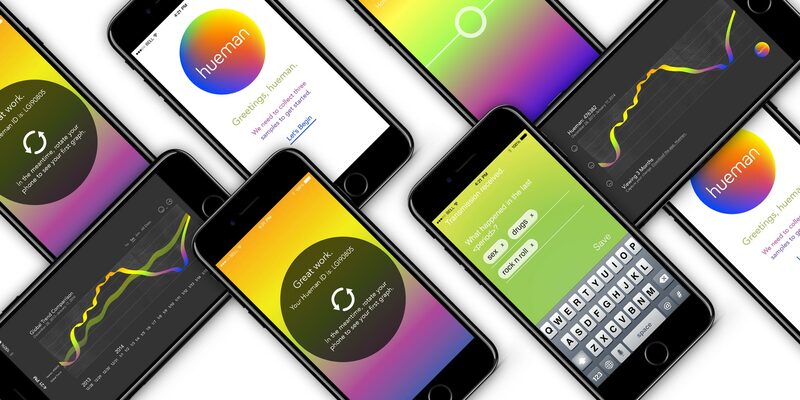 The interface is extremely simple and beautiful, and since color is closely linked with mood in our minds, so we chose the main logging interface to cover the visible light spectrum (HUEman). Our aim was that simplicity and a frictionless experience would encourage you to check in often. 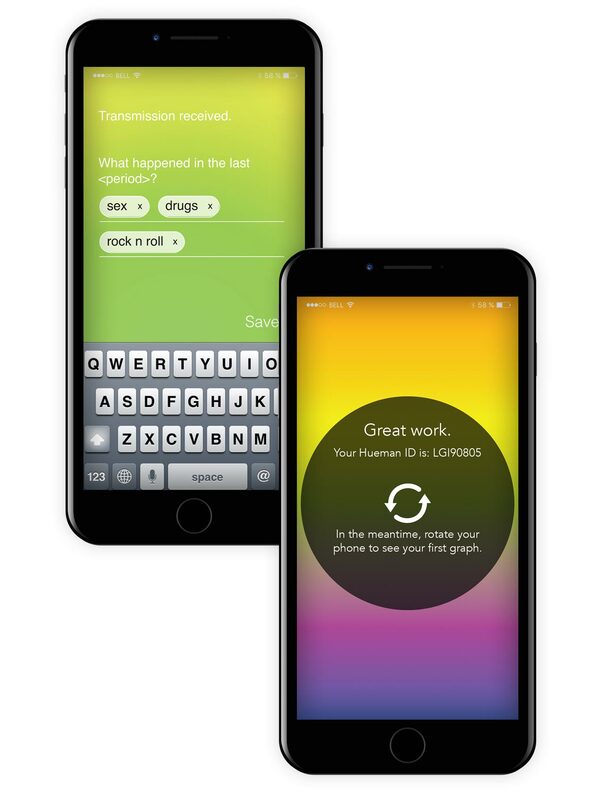 It was available in the App Store and we had big plans to add new features, but life got in the way and we shelved the project. I’m extremely proud of v1 and would love to pick this back up again some day.